The self-employment program will cover about 35,000 people in 2018. Minister of Labor and Social Protection Salim Muslimov wrote in his article published in “Azerbaijan” newspaper that the self-employment program is implemented upon President Ilham Aliyev’s decree “On additional measures of ensuring self-employment of the population” dated April 7, 2016. As part of these measures, the Ministry provides low-income families with various assets (goods, materials, livestock) to launch small business. The minister added that 1,232 families have become the beneficiaries of the program this year. There will be a new source of funding for the self-employment program in 2018 due to the law “On unemployment insurance”. As a result, the program coverage will be expanded. President Aliyev signed a decree on application of the law “On unemployment insurance,” on August 7. The insurance premiums on the part of the insured make up 0.5 percent of the salary, insurance premiums on the part of the insurer will be 0.5 percent of the calculated wage fund, in accordance with the law. Calculation of the monthly insurance payment is made as follows: 50 percent of the lost monthly salary with labor experience of 3 to 5 years; 55 percent of the lost monthly salary - with labor experience of 5 to 10 years; 60 percent of the lost monthly salary with labor experience of over 10 years. Under the law, those whose labor contracts were terminated because of the liquidation of the employer (legal entity) or because of mass reduction will be entitled to receive unemployment insurance. The minister added that the creation of a new financial source will make it possible to increase expenses for financing the employment sphere by 3.2 times. “Thus, 37.6 percent or 33.5 million manats ($19.70 million) out of 89 million manats ($52.35 million), which is planned to be collected next year in the unemployment insurance fund, will be directed to unemployment insurance payments, 40.2 percent or 35.8 million manats ($21.06 million) - to expand the self-employment program, that is, in addition, almost 7,000 families will be covered by this program,” he said. Encouraging self-employment has been determined as a perspective business task in Azerbaijan and the government does its best to create conditions and opportunities to supports entrepreneurship in the country. 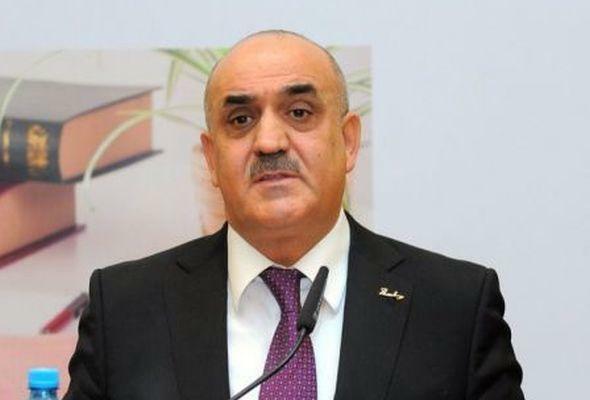 Thus, in September 2016, “Simplified support to family business” (ABAD) under the State Agency for Public Service and Social Innovations operating under the President of the Republic of Azerbaijan (ASAN) was created in order to support the active participation of citizens in the social and economic development of Azerbaijan, the development of small and medium-sized enterprises (SME), increase of employment of the population. Unemployment rate in Azerbaijan is 5 percent, while the poverty level equals to 5.3 percent. Moreover, the minister in his article stressed that from January 1, 2006 to October 1, 2017, the average monthly amount of labor pensions had increased 6.8-fold and reached 204 manats, the average monthly amount of labor pensions by age increased 7.7 times to 228 manats ($134). Further, Muslimov noted that for 11 months of 2017, the nominal income of the population increased by 8.2 percent and reached 43.4 billion manats ($25.53 billion). The per capita income increased by 7.2 percent and amounted to 4,459 manats ($2,622).